A hospital staffed by Doctors Without Borders was hit by an airstrike in North Yemen this week, killing at least 11 people and wounding 19, according to Doctors Without Borders. Of the 11 people who died, nine of them were killed in the strike—including one Doctors Without Borders staff member—the other two died while being transferred to another hospital. 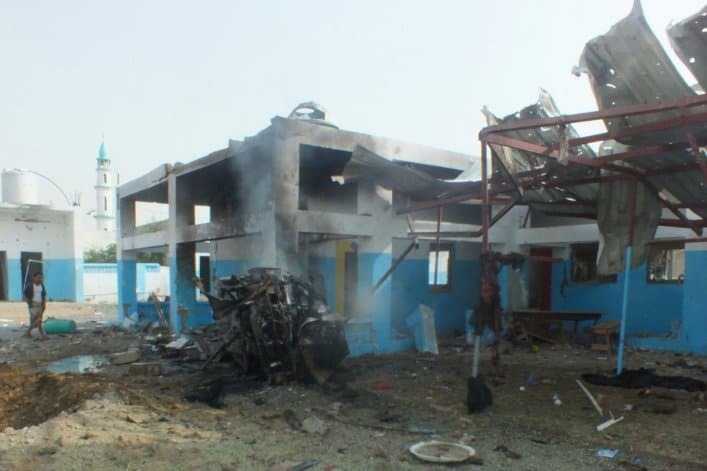 This is not the first time the charity’s facilities have been hit in Yemen. Airstrikes have been happening in Yemen since March 2015 as the internationally-recognized government fights against Shiite rebels who captured the country’s capital in September 2014, according to the Associated Press. The United States is still gathering information on the airstrikes.